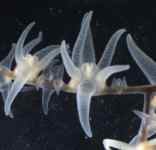 The node Invertebrates III focuses on marine invertebrates. It started with support from BMBF (grant number 01LI0206) aiming at documenting type-specimens in large marine collections and publishing the data on the Internet. Upon successful completion of this task, work towards the completion of the data inventory and further marine collections were continued. Through the actual funding by BMBF (grant number 01LI1001E) we will get considerably closer towards the vision, to have all existing marine collection data in Germany on the Internet. By expanding the server capacity and the flexibility of data entry systems, in future smaller databases can be directly included. The larger collections as well as smaller ones, if desired, can be stored in the collection management system SeSam and go online either directly or through the GBIF portal, as well as other specialised portals. 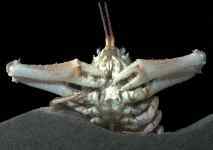 The node Invertebrates III deals mainly with marine invertebrates. Since there are some larger animal groups in which terrestrial, freshwater and marine species are included, these were distributed between the nodes Invertebrates II and III. This means that the node Invertebrates III covers all animal phyla besides the arthropods, mollusks and chordates, but the crustaceans are included as a whole. The molluscs and chelicerates are covered by the node Invertebrates II. This distribution of duties makes sure that the crustaceans, molluscs and chelicerates are not separated by habitat. Currently, nearly 500,000 data sets in 80 individual collections can be accessed online through SeSam. Occurrence data of marine organisms are important elements of regional oceanography. Based upon knowledge about ecological preferences, organisms can be used as indicators of ecosystem changes (such as climatic warming, changing current systems, and others). Data obtained by new surveys have always to be compared with baseline data from earlier periods in order to detect changes. Such baseline data are usually stored in collections and must be mobilised before use. Such collection data contain information (e. g. past and present taxonomic classification of species) that is connected to actual specimens so that it can be used for proving or disproving earlier results and thus integrating them into a new scientific environment. This kind of permanent availability and revisability calls for a direct access to the resource "collection" through permanent networking. It is important that collections can be searched for common criteria (e. g. of geographical and ecological thesauri). The overall aim is establishing a network of marine collections in Germany in order to make the included data as accessible as possible. Georeferenced objects or such with georeferencing potential have highest priority. All these data will, where possible and interesting, made accessible to a broader public through the GBIF and OBIS portals. The technology for this exists and is already successfully used. The purpose of the geographic web services is to enable a rapid collection of geographical data in high quality. Technologically, these web services are based on GIS functionality. This innovative approach to geographic indexing, offers completely new possibilities. Previously relatively rigid geographical classification systems were in use for indexing, now through the use of GIS functionality a scalable and dynamic indexing gets possible. This new flexibility is achieved by additionally saving areas and points in a GIS-compatible format. Administrative, biogeographic and environmental areas are defined by shapes. Furthermore, the localities of specimens are stored in a GIS-compatible format. The conversion of latitude and longitude information into this GIS-compatible format is done automatically. An automated geographic indexing is now possible by calculating, in which administrative, biogeographic or environmental area the respective collecting spot is located. After entering longitude and latitude the relevant areas are pointed out by the system. A shape collection is held for this purpose, constantly expanded and updated. This geographic web service can be universally used. This new method of geographic indexing will improve the quality and accelerate the capture of data at the participating institutions. Full information on all objects in the respective collections of the abovementioned institutions are accessible by klicking the hotkey “Data queries” (upper left).